Kris' Fishing Charters in Jean Lafitte, LA is just 30 minutes from New Orleans, LA. Capt. 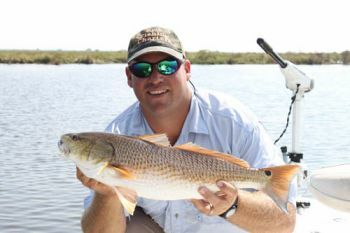 Kris Hebert specializes in charters for Redfish, Bull Reds, Speckled Trout, Flounder, Drum and more. Kris can handle any party large or small and has on-site accommodations in Lafitte for your group. We provide, drinks, water, all the required tackle and equipment and clean/package your catch before you leave. Fish Barataria, Little Lake, the Pen, Lake Salvador and more. Morning and afternoon charters available. Call to book your Lafitte fishing charter today.